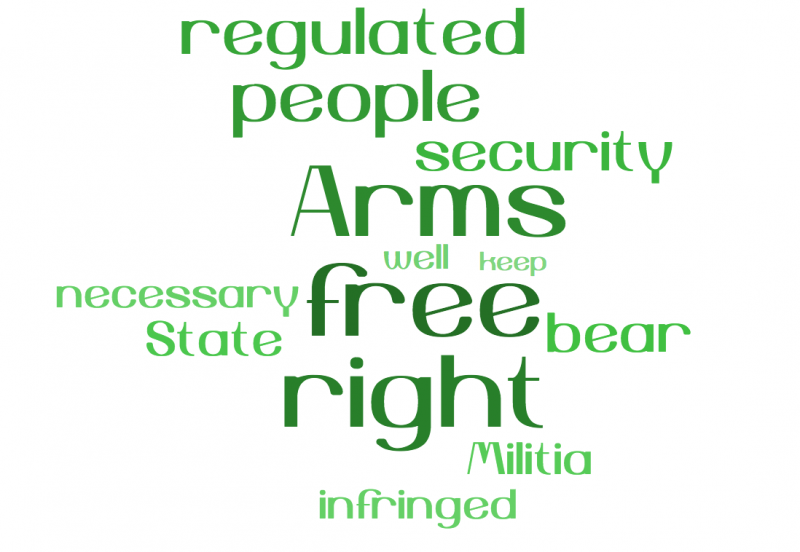 This Read Ahead lesson plan asks students an important question: What 3 words are most important in the 2nd amendment? Then invites students to share and compare the words they chose by demonstrating the words that should jump off the page. A shared reading experience. Next students provide a rationale for their choices. Finally, students read about different approaches to Constitutional Interpretation and discuss how their rationale fits into those approaches. Present your Prepared Read Ahead presentation. Ask students how they interpret this reading selection. Tell students they will share and compare how they interpret this reading selection by having the words jump off the page. As a class, investigate the Read Ahead tool you will use for the project. Invite students to login and join your group. Demonstrate how to create a Read Ahead presentation and select custom words. Ask students to make their selections and add their presentations to your group. Have individuals or groups present their reading presentations to the class. They should provide their rationale for specific word choices. Encourage class members to share differences of opinion about word choice and interpretation. Follow up by reading more and discussing the context for interpretation. Note: This lesson can be modified to any reading passage and question that would benefit from a richer understanding of textual interpretation.